This month I'm participating in a fun challenge that CreativeBug is running to find their next instructor. The contest started on September 1st and the goal is to take one of their monthly challenges and post your take on the themes each day. I really love everything that Lisa Congdon does, so I'm using her 31 Things to Draw (or in my case draw and paint) workshop as my inspiration for the challenge. The other daily prompts are things like chairs, leaves etc. All things that are simple in their own right but that you can really have some fun with - make stylized or embellished. Have you ever done a monthly challenge where you create every day? Leave me a comment and let me know what the theme was, and whether you enjoyed it or not! 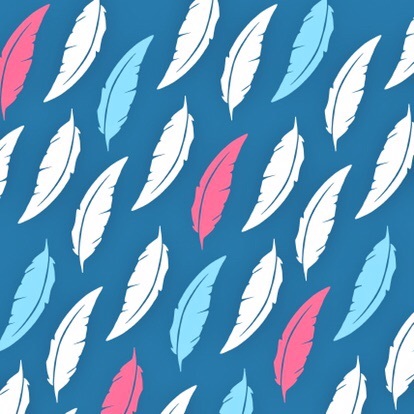 This month my lovely friend @AIsForAnika is running a pattern challenge called 'Back to Pattern'. She is providing daily prompts, but it's super low pressure, you can do them as you please. Here are the first three days, which I did on my iPad Pro, using Adobe Draw. If you'd like to see my Top 5 iPad Pro Apps for Artists check out this blog post. 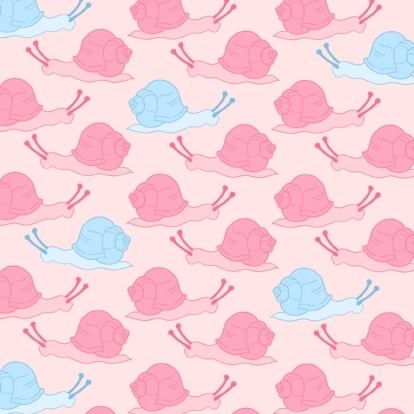 I usually go through several iterations and color ways before I make a final decision, here are just a few of the snail options I played around with once I'd drawn the image and was happy with the repeat layout. Do you like the one I picked in the end, or do you have a different favorite? Let me know in the comments!